The issue of keeping the Sabbath is a controversial subject in the church today. Some claim keeping the Seventh-Day Sabbath is an eternal command of God. Others change Saturday to Sunday. Some say it is unnecessary. What if there was another principle of the Sabbath that they all missed? The principle of the Sabbath in the Bible is much larger than the argument over which day of the week to honor. There were a number of Sabbath days in addition to the weekly Seventh-day Sabbath. There was also a Sabbath year every seven years. and every 50th year was also a Sabbath year. In The True Sabbath the author presents a third view of the Sabbath that has nothing to do with the day of the week. 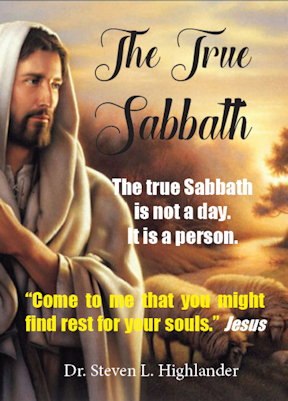 He presents Sabbath as a spiritual principle that finds its true fulfillment in Jesus Christ. The book of Hebrews tells us, “There remains therefore a rest to the people of God….” (Hebrews 4:9). In this book you will discover the spiritual rest you have been looking for.